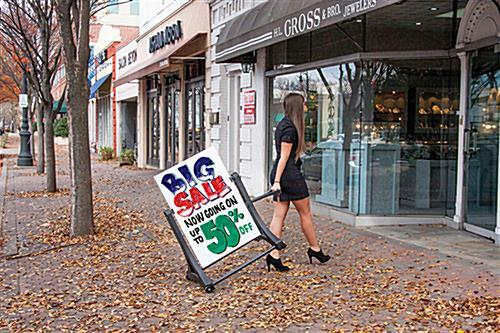 These Rolling Message Boards are Specially Designed for Outdoor Use! 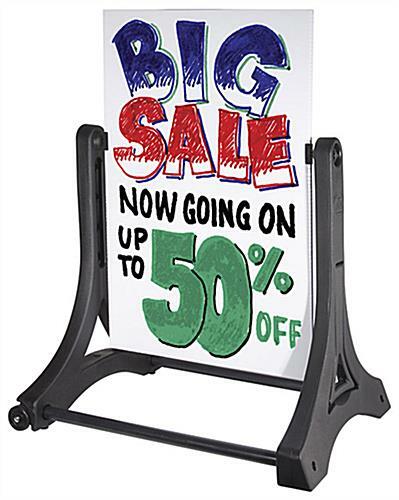 Shop Our Huge Selection of Sign Products Now! White boards are double-sided for maximizing advertising potential. 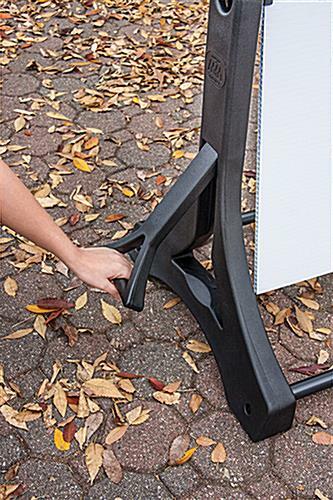 Self-storing EZ-Lift handle to eliminate carrying & lifting. Wheels & slim frame for quick & easy transporting. Base has ports to add sand or water for stability. Base is made from durable technopolymer material. 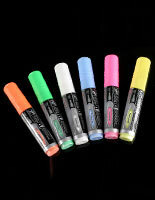 Comes with a set of four (4) wet-erase markers in various colors. These rolling message boards are perfect for outdoor use. 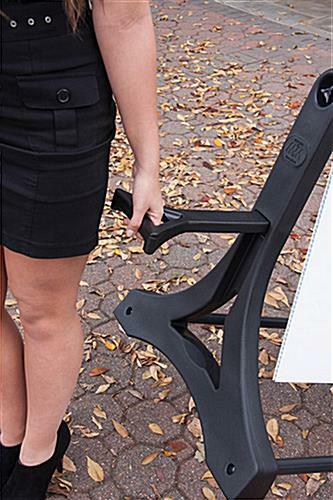 The durable base can be weight down with water or sand for stability. These rolling message boards feature two wet-erase boards that can be easily cleaned but won't smudge or wipe off on clothing. 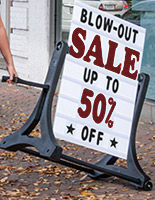 Each sidewalk sign comes with four wet-erase markers for your custom messages. These rolling message boards simply tip and glide on wheels for easy transport. 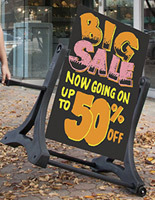 Each pavement advertising board is dent and rust resistant.